There is no other way around it--Madagascar is an evolutionary uniquety. 80% of the island's species live nowhere else on Earth. Among this uniqueness is a habitat that seems to come out of science fiction: The Spiny Forests. These forests grow in the western half of Madagascar, where the mountains that split the island in half bar rain from passing through. 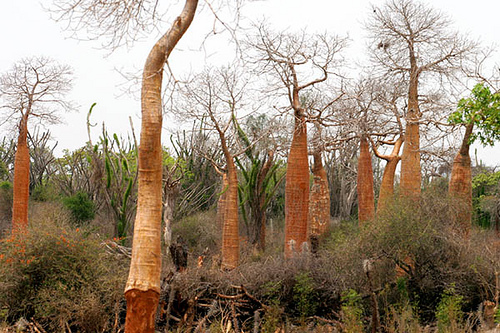 These forests can survive months if not years without rain, and the plants have to come up with certain adaptations for such meteorological hostilities. Most are armed with thorns and needles, which help retain moisture loss, whereas others have given up on leaves and instead photosynthesize through their trunks. 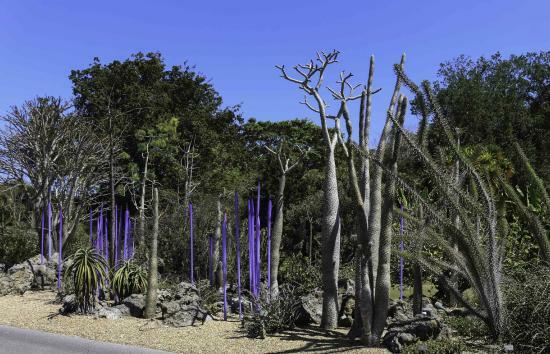 The spiny forests of Madagascar are one-of-a-kind, separate from the other rainshadows of the world--the Mojave in California, the Atacama in Chile, the Judaean in Israel, even the deserts of mainland Africa's northern half. But does it have to be? Could spiny forests similar to those in western Madagascar grow in the other rainshadows around the world? 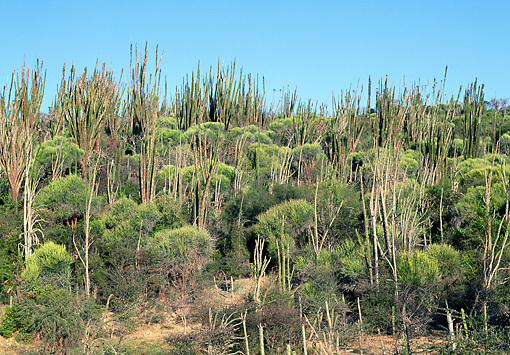 Some could, others won't; the Spiny Forest receives an average of 500mm of rain annually. To be able to support a similar ecosystem, this is how much rain the rainshadows would need to receive. Of those you listed, the Judaean Desert is the only one that receives enough rainfall to support a similar ecosystem. The Mojave's rainfall is only a tenth of what it needs to be, and in the Atacama there are places where it has not rained in all of human history, and the average across the entire desert is just 15mm annually. Dailey questions are always a challenge for me, because - what is the question? Here I take the question to be: could a really weird forest of unique dry adapted plants occur elsewhere in the world? 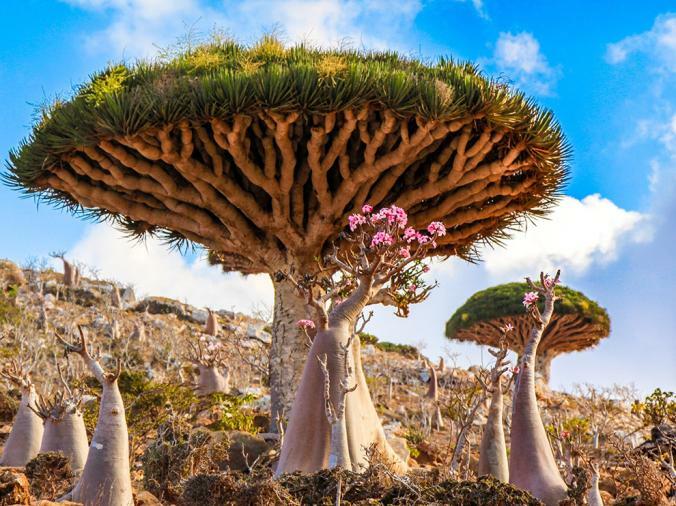 https://www.nationalgeographic.com/photography/photo-of-the-day/2015/12/socotra-island-ngpc2015// Depicted - Dragons Blood tree towering over stunted forest of Bottle trees. Socotran vegetation is unique and weird (maybe weirder) for the same reasons Madagascar is - it is an isolated island and it is dry. Not the answer you're looking for? 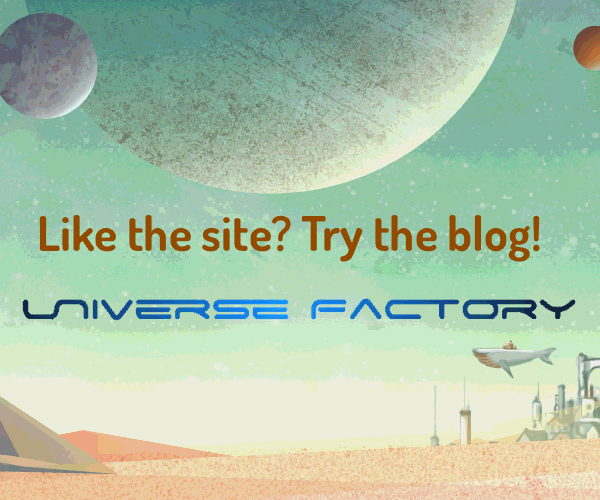 Browse other questions tagged science-based environment ecology deserts or ask your own question. The westbird. Could this exist? The World's a Jungle Again. How Many Species Would Crowd the Continents?